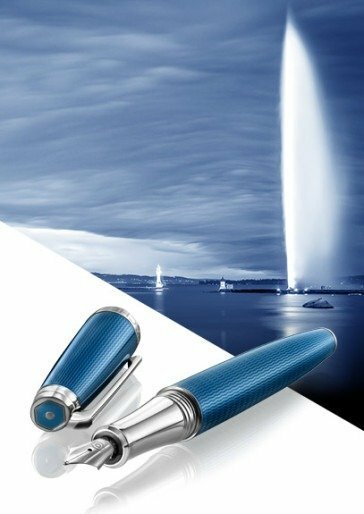 A new and fascinating nuance for the beautiful Leman collection by Caran d’Ache. 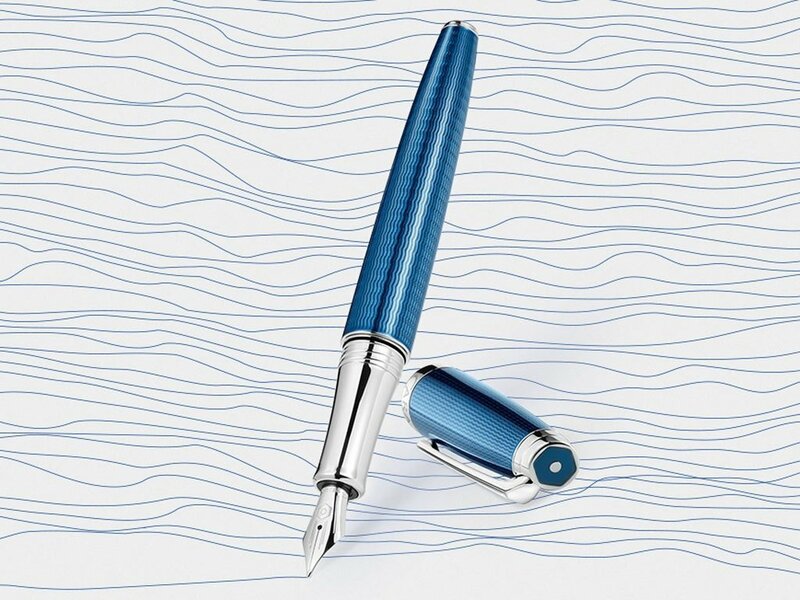 The master craftsmen of the Swiss maison have created underneath a layer of translucent lacquer,reminiscent of the intense blue of the ocean depths,delicate ondulating reflections on the body of the pen. 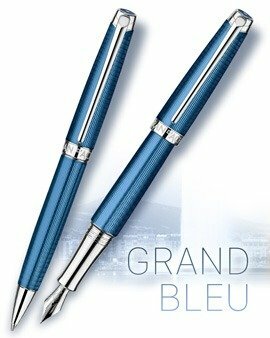 The fountain pen fits rhodium trims, an 18kt solid gold rhodium plated nib in different sizes,screwing cap closure and the exagonal logo made in precious bleu lacque on the top cap. 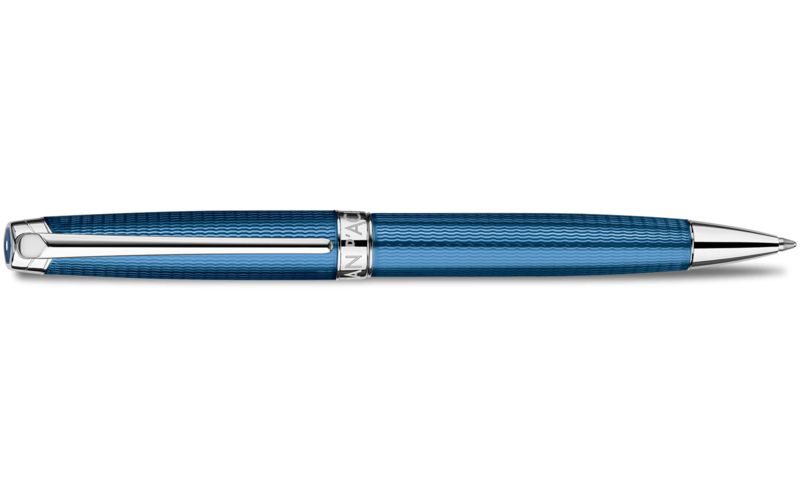 Available as twist ball point too. 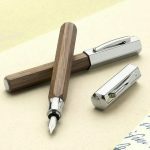 The beautiful collection of Ondoro Faber Castell, the famous German Nuremberg founded in 1761, is enriched with two new finishes: matte black and oak wood. 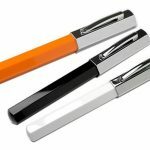 Both embellish this collection made of colored resin hexagonal. 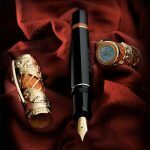 Prices start from € 95.00 of the resin ball (black, orange and bayonet) to € 135.00 fountain of wood. 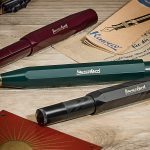 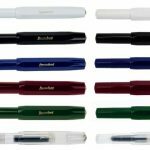 For all versions are available variants mechanical pencil, roller, stylus and ball.